Since its original conception by Israel and Anna Crane in 1869, the Montclair Public Library has been serving the literary needs and positively impacting the local public education efforts and access to information for the residents of Monclair, NJ. In 1996, the main library branch began an extensive renovation and expansion which included a third-floor children’s area with separate programming spaces, a 170 seat auditorium, an art gallery, and a café. The library renovation did not stop with just an architectural expansion, but rather it continued with information and resource additions annually. In the spirit of improvement, and as part of a centennial anniversary, the Montclair Public Library embarked a brand identity update. 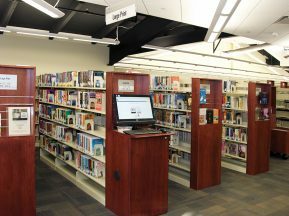 A local area design firm, Frederick and Froberg Design Offices, was charged with updating the library’s brand identity and interior design of all the Montclair Library system. 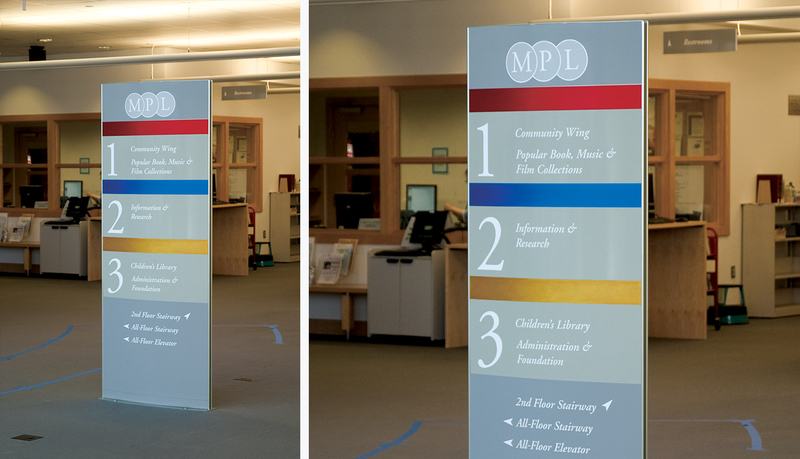 A key facet of the brand identify update was the updating of the library’s interior signage solution. 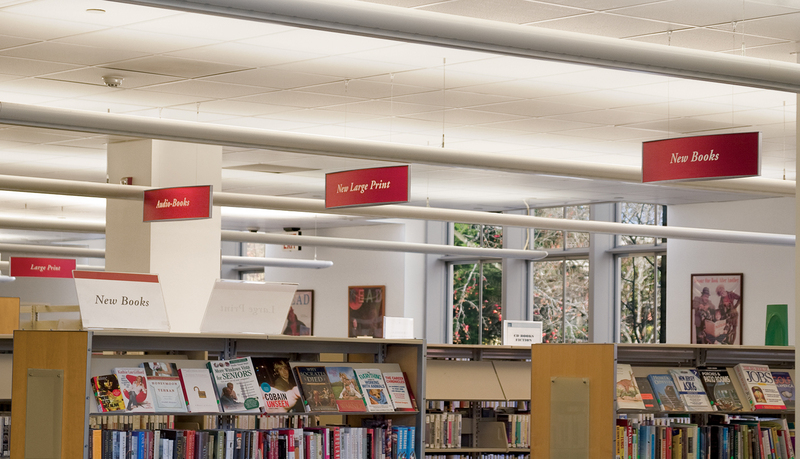 Frederick and Froberg needed an experienced signage partner to collaborate with to integrate the design standards and create and install a complete wayfinding and signage solution for the library. 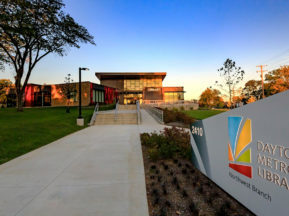 ASI was engaged by Frederick and Froberg to assist in the creation and implementation of a complete wayfinding and interior signage solution for the library that would reinforce the new brand identity of the library. 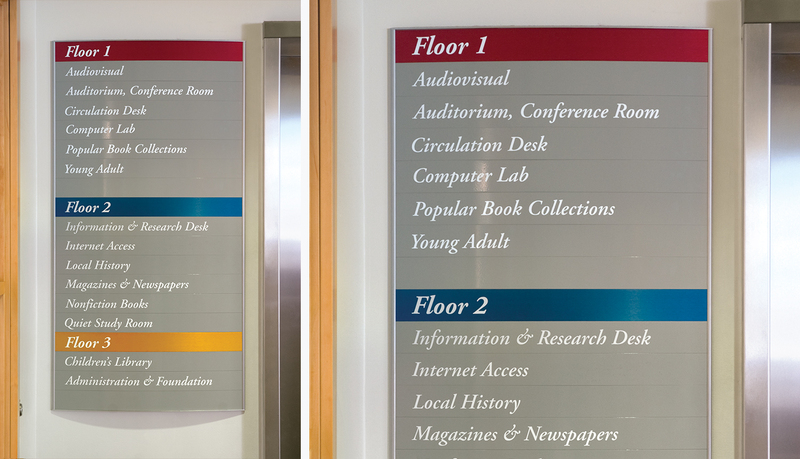 To help guide library visitors throughout the library and to minimize direction request from visitors to library staff, ASI implemented a color-coded wayfinding plan into the signage. 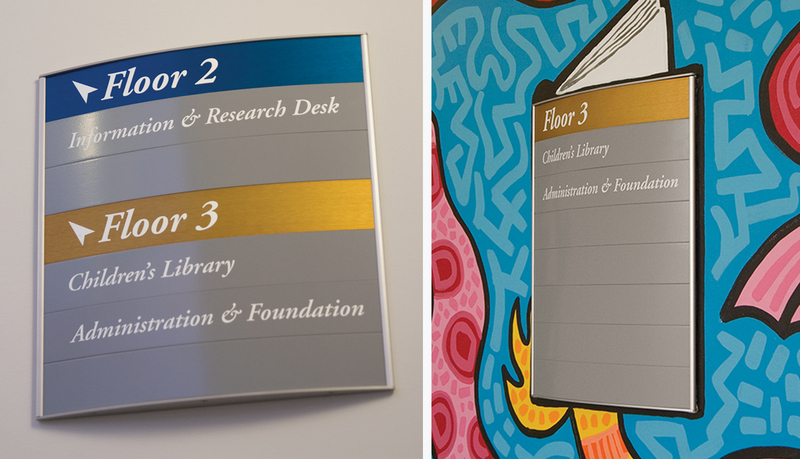 The anodized aluminum panels used in the curved-face signage solution were colored red, blue, and gold to reflect the new brand of the Montclair Library. 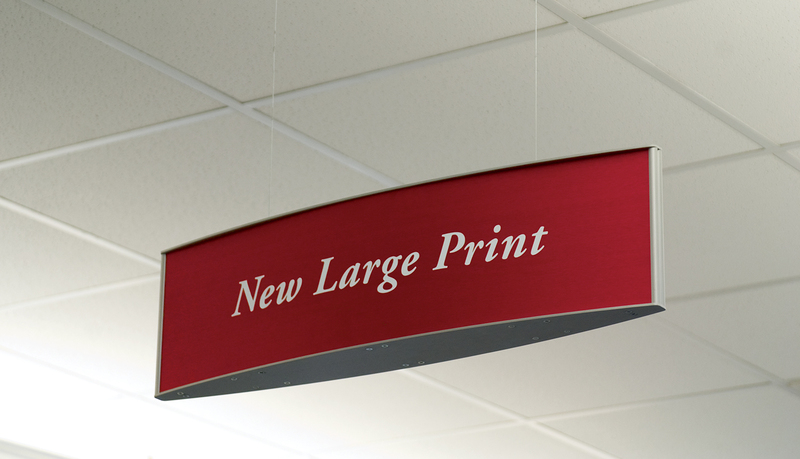 Key components of the wayfinding solution are the suspended stack signage and section signage. 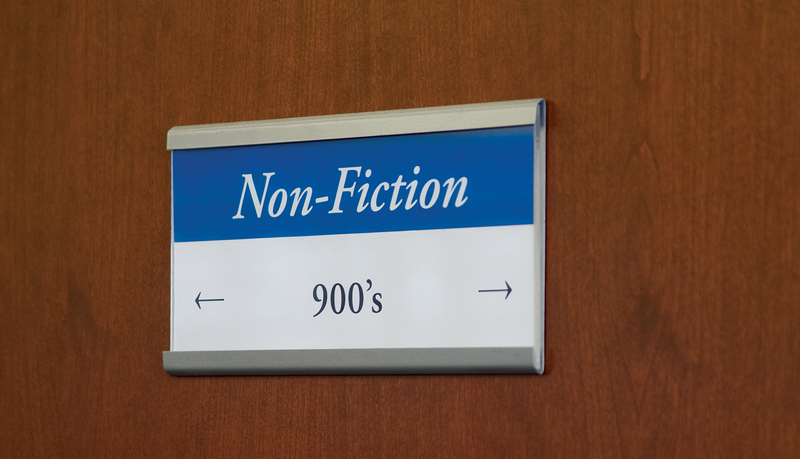 Because the information signs were suspended, visitors can stand at almost any place within the library and visually locate a section or department. A gray color was used for general information panels. 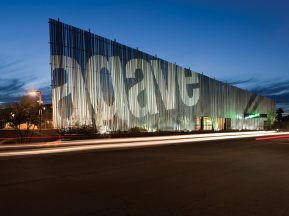 The signage solution is a curved-face extruded aluminum modular sign system offered exclusively by ASI. 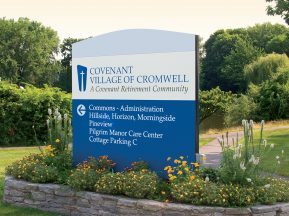 The complete solution includes a monolith, wall-mounted directional and information signs for each floor, and suspended signs. ASI also fabricated and installed frosted vinyl letters on the glass doors throughout the library, and ASI provided custom window signs with paper inserts for each shelf in the library.